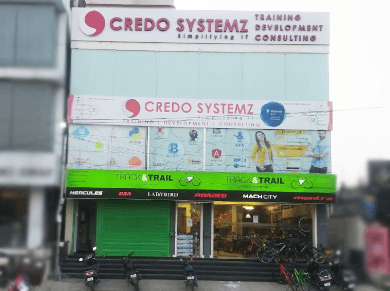 Best Big Data Hadoop Training in Chennai at Credo Systemz will help you learn and upgrade your knowledge in the Core components, Database concepts and Linux Operating system. Our Hadoop Course Content has been designed by industry experts which helps you to become a Professional Hadoop Developer through live projects on all frameworks of Big Data Hadoop with hands-on session. We are the best provider of Hadoop Big Data Training in Chennai, Velachery and OMR with affordable fees according to the positive reviews across the internet. Our Hadoop training is well designed to gain knowledge with economical Training Cost for Hadoop Training in Chennai. We are provides you the complete Hadoop training program from absolute scratch and reach up to expert level. You can download the Hadoop course content PDF below which has been designed by the experts in the industry. Big Data is a large set of data as the name mentions “Big Data”. It is complex to collected using traditional data processed systems since the most of the data generation is unstructured form so it’s hard to handle the critical environment, So Hadoop come up the solution to this problem. Hadoop is open source tool which is developed by Apache that is used for handle the large set of unstructured data in distributed computing environment. It can measure from single to thousands servers and it also saves the time. Joining the Big Data Hadoop course in Chennai with placement will help you to learn from scratch. Hadoop is used to store and process a large amount of data easily and most of the big IT companies uses hadoop for storage purpose so hadoop job opportunities increasingly for many hadoop positions. Hadoop used big companies are Google, Yahoo, IBM, Ebay etc.. If you are learn Hadoop Training surely you get Job in one of the best MNC's. Nowadays Data is Everything in the World. Here is the short story of how the data is rapidly increasing. Due to the vast variety of Technologies, Mobile Apps and Huge Amount of Social Networks, the amount of generating data is rapidly increasing in every minute. Here is a small statistics. Up to the year 2003, all over the production of data was 6 billion gigabytes. Very surprisingly, in 2013, the same amount of data generated in every 2 minutes. Just think about now and upcoming years!! Strong knowledge in Hadoop Fundamental concepts. Deep Understanding of Hadoop Distributed File System(HDFS)and MapReduce concepts. Installation and deployment of Apache Hadoop. Become an Expert in Map Reduce Programs and Implementation of HBase. Hands-on knowledge in Data loading techniques using sqoop and flume. Gain an depth knowledge of Big Data Framework using Hadoop and Apache Spark. Best practices in buliding, optimizing and debugging the Hadoop solutions. Over all understanding of Big Data Hadoop and be equipped to clear Big Data Hadoop Certification. Learn Hadoop training from our Expert by working on hands-on real time projects. Most importantly our Hadoop training in Chennai will start from complete scratch which includes spark with scala. Hands-on Practical assignments for each and every topic which makes you strong in technically. On Successfully completion of this Hadoop training via online, classroom and corporate an individual will acquire the complete skillset required to be a professional Hadoop Developer. Guidance for Hadoop Developer Certification. Special Combo Course (Hadoop and Spark) is available with Combo offer for interested candidates. In addition, Latest Hadoop Job Openings will be shared with our trained Candidates. Detailed instructor led sessions to help you become a proficient Expert in Hadoop. Build a Hadoop professional portfolio by working on hands on assignments and projects. Lifetime access to downloadable Hadoop course materials, interview questions and project resources. Here you go with details about the Hadoop Certification Cost and other details. Duration 120 minutes for candidates answering in English language. Hadoop training course in our institute is designed by experienced experts who are also worked in the recruitment team of top MNC companies, hence our Hadoop certification topics consists of more number of practical sessions which guide you towards placements. 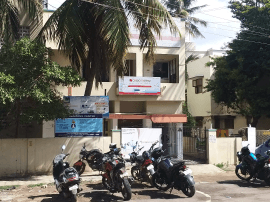 Our Hadoop training Chennai Velachery is named for providing the best hands-on practical session training with real time case studies. We are ranked as No.1 Best Hadoop Training institute in Chennai according to the reviews across the internet. Offering Best Hadoop Certification Training in Chennai on both weekday and weekends at flexible timings. You can attend the Free Demo Session with our Hadoop Experts - Book Now. Our Hadoop training in chennai, velachery and OMR course provides you the latest updated Hadoop topics from scratch. Most importantly our Hadoop training and certification at Credo Systemz is handled by certified Experts. Job based Practical Oriented Hadoop training in chennai which makes you to strong in your technical skills. Referred as the Best Hadoop Certification Training in Chennai by our alumini. Should have the good knowledge in mathematics and statics. Also our Hadoop training program will starts from scratch which will be helpful to learn from basics easily. What all are the tools you’ll cover in this Hadoop training program? In our Hadoop training program, our trainers will cover all the important tools required for a Hadoop to handle the data’s as a professional. If you are looking for some specific tools just reach us via +91- 9884412301. What is the Course Duration for Hadoop Training? Our Hadoop Course Duration is 45 to 50 hours which covers all the modules of Hadoop training. In this duration, we will give you more case studies to practices and You will get various levels of Hadoop assessments. You have to work on a real time Hadoop application Project. What will be the career path of a Hadoop Developer? Hadoop Development will be the best choice for both beginners and experienced professionals for a better career growth. To know more check here the Hadoop Developer Career Path explained clearly with certification details. What will be my level after completing this Hadoop course? Our Big Data Course is specially designed by Certified Experts.Most importantly, our big data course in chennai to enrich the career of an individual into a professional in handling the real time project. You will develop and maintains the Hadoop application Projects by individually and will able to clear your Hadoop Certification after completing our Hadoop certification in chennai. After the course completion, We will conduct Three Mock Interviews. In the Three Mock Interviews, We will figure outs your Technical competence and where you need to Improve. So after the Mock Interviews, it will Increase your Confident Level for Cracking the Interview.